Santa Barbara Hosting Arbuthnot Lecture featuring Pat Mora: The Association for Library Service to Children (ALSC) and the Santa Barbara Public Library System announced that tickets for the 2016 May Hill Arbuthnot Honor Lecture featuring Pat Mora are now available. The lecture, titled “Bookjoy! ¡Alegría en los libros!,” will be held at 7 p.m. on Friday, April 15, 2016 at the Santa Barbara City College’s Garvin Theatre. Required tickets are free for the lecture and must be obtained through the Santa Barbara Public Library System. To learn more about acquiring tickets and event details, please visit the 2016 May Hill Arbuthnot Honor Lecture website at www.ala.org/alsc/2016-arbuthnot-lecture . Hotel information is also available on the Arbuthnot website. 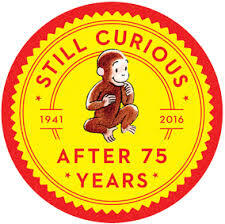 Curious George 75th Anniversary Giveaways: 2016 marks the 75th anniversary of H.A. Rey’s classic tale Curious George, a fun-filled story about one precocious little monkey with a boundless love for discovery. 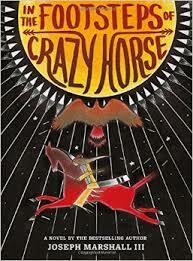 This book has since taken a special place in the hearts of children and adults all over the world. To celebrate this anniversary milestone, Houghton Mifflin Harcourt Books for Young Readers, in partnership with the American Booksellers Association, is launching a special storytime event celebration: Get Curious About Reading! One grand prize winner will receive a selection of Curious George books for your classroom, and 75 runners up will receive a copy of Curious George Learns to Count from 1 to 100. Enter here now! Are you a school, library, or bookstore interested in joining the fun? Download a free Get Curious About Reading kit here. Be sure to check out the 100 Days of School resources for teachers here.